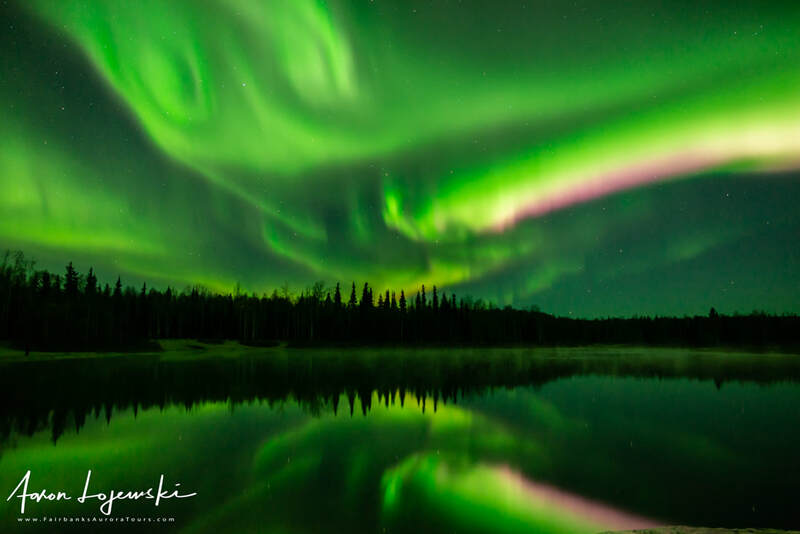 The Aurora season is from August 21st - April 21st. 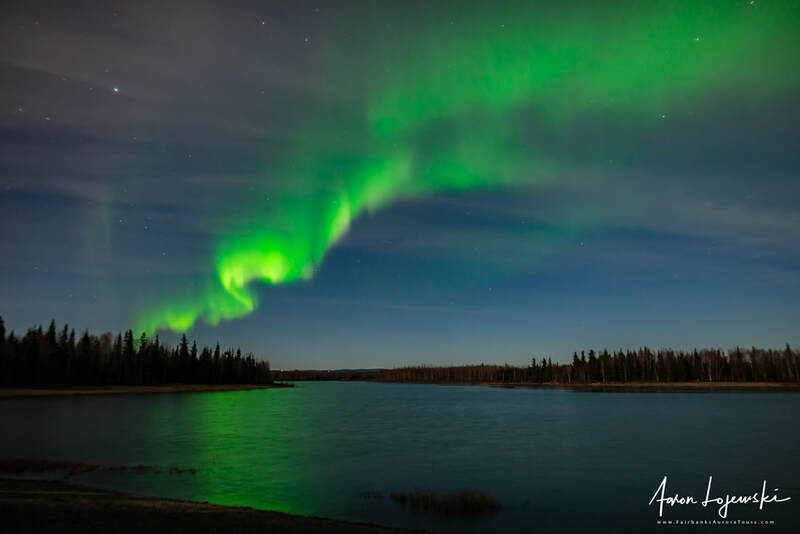 We are accepting bookings now for the 2019-20 Aurora Season. We will be increasing our 2019-20 season rates soon so book now to lock in lower rates today. Depart from and return to Fairbanks, Alaska. 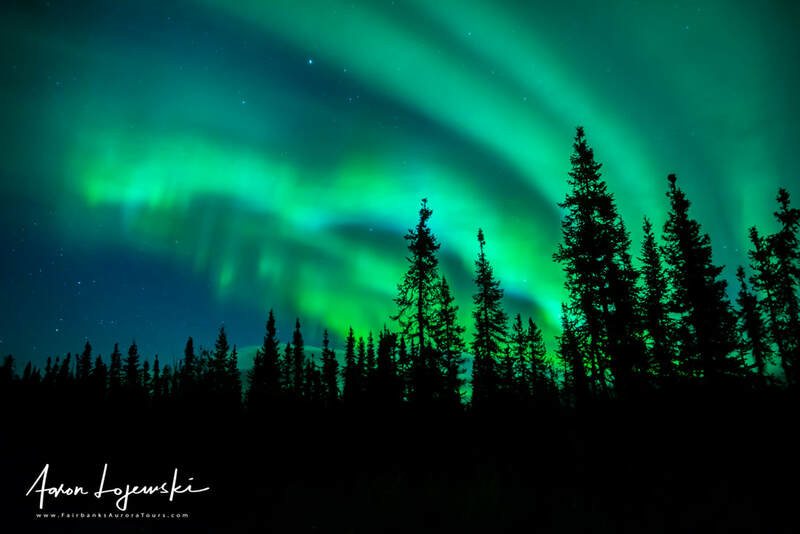 Travel out of the city in our warm tour van to one or more of our favorite hand-picked photography/viewing locations based on favorable viewing conditions. 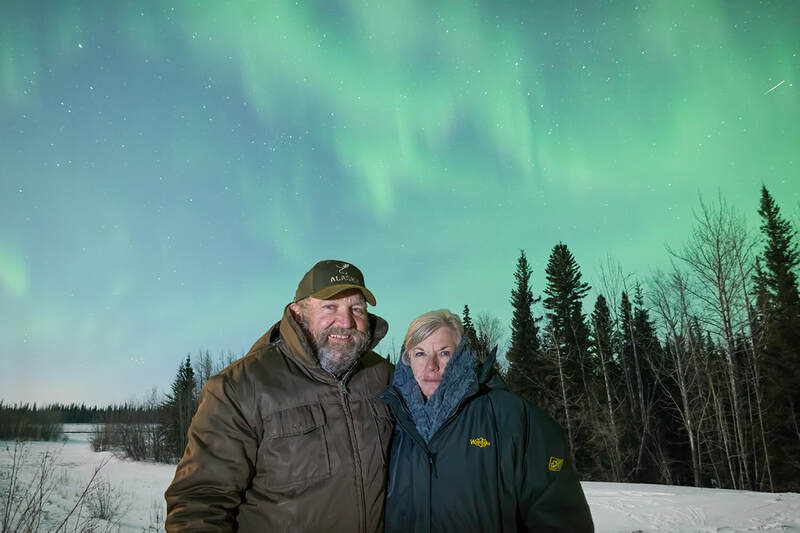 Learn a bit about Fairbanks and Alaska from a local guide in a small group setting no larger than 11. Larger groups are possible with charters. 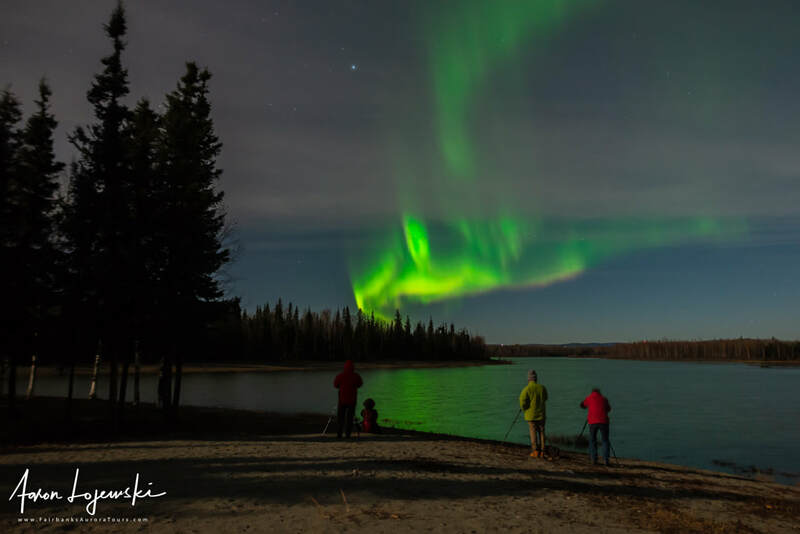 Receive training/workshop on how to take photos of the mages tic Northern Lights from your friendly local Alaskan Guide and hands-on help as needed. 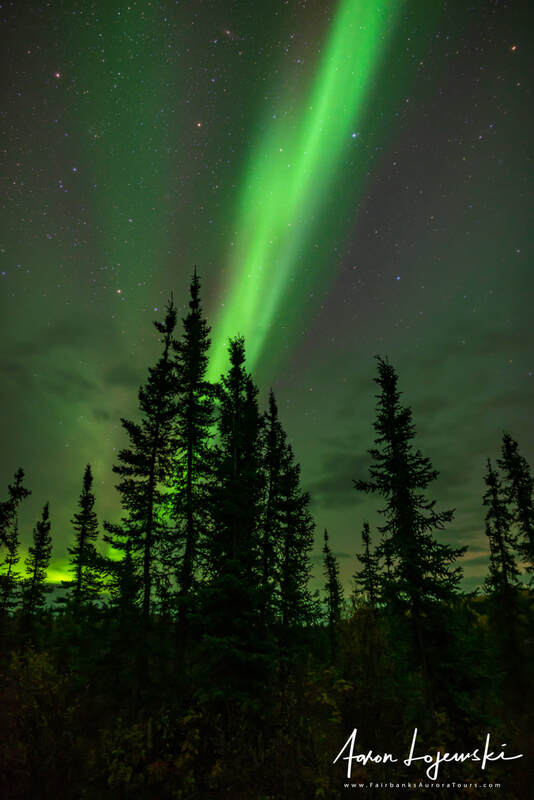 Take the time to look up at the stars of the universe, identify a couple constellations, perhaps see a shooting star, and gaze upwards as we chase the northern lights! On nights when the Aurora display is especially vibrant we may stay out later than advertised. 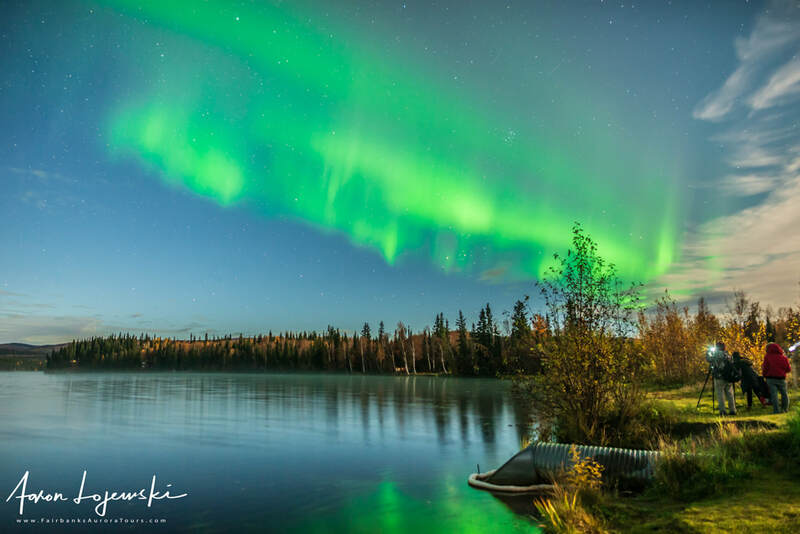 *Pick up and drop off is offered for hotels in the core Fairbanks area. ​What should you expect on your fully guided tour? An email the day of the tour with a pickup time. 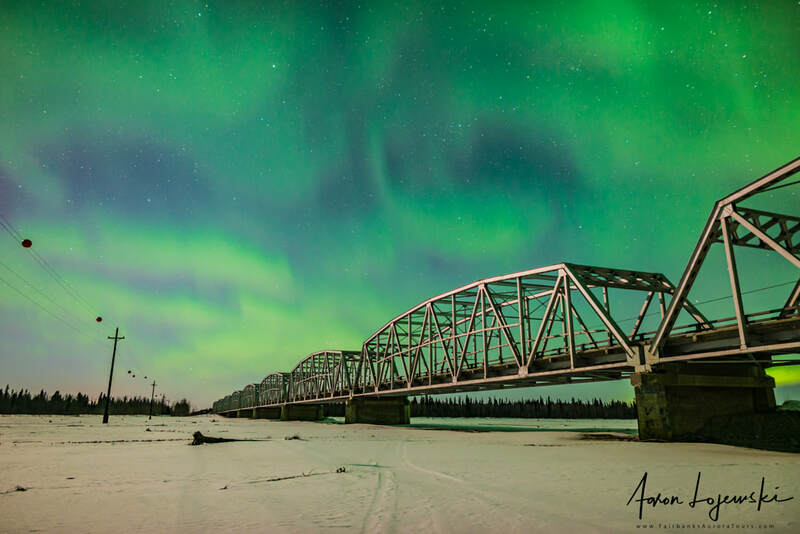 Understand what makes Fairbanks an ideal location for Aurora viewing. 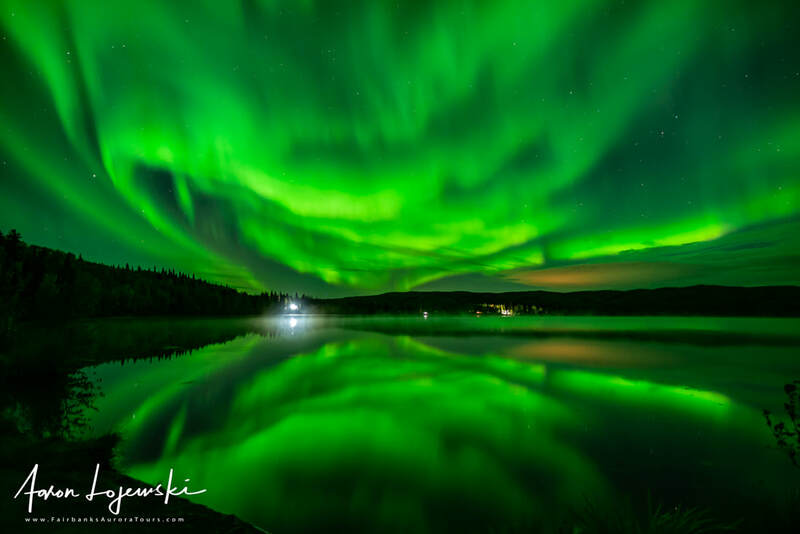 ​A history of Fairbanks and gold mining in the Interior. High-quality jpg file ready to submit to online printers (up to 12x18 inch printing at 300dpi). Small jpg files ready for online and social media use. Files are typically ready for download within 24 hours via download link in an email the next day. 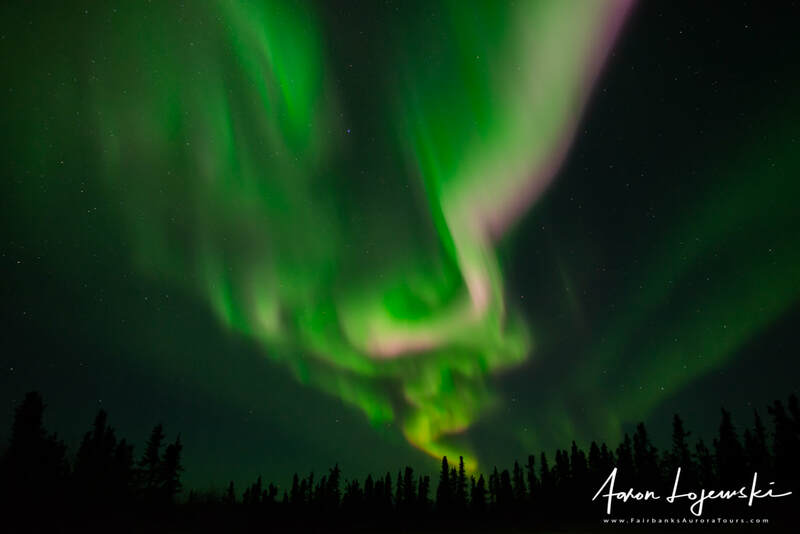 Both the person / people will be in focus and the aurora will be in focus. If we do not deliver the portrait for any reason, (including poor viewing conditions) you will get a full refund on the price of the portrait. Question: When is the best time to come? Answer: Anytime your personal schedule will allow from August 21st to April 21st is a good time. I find April to be the best of all months. More information can be found here. Question: Do you offer winter clothing rentals? Question: What lens should I get for my Nikon DX sensor camera (D3000 and D5000 series cameras)? Check our blog post here, other camera brands and sensor size suggestion coming soon. 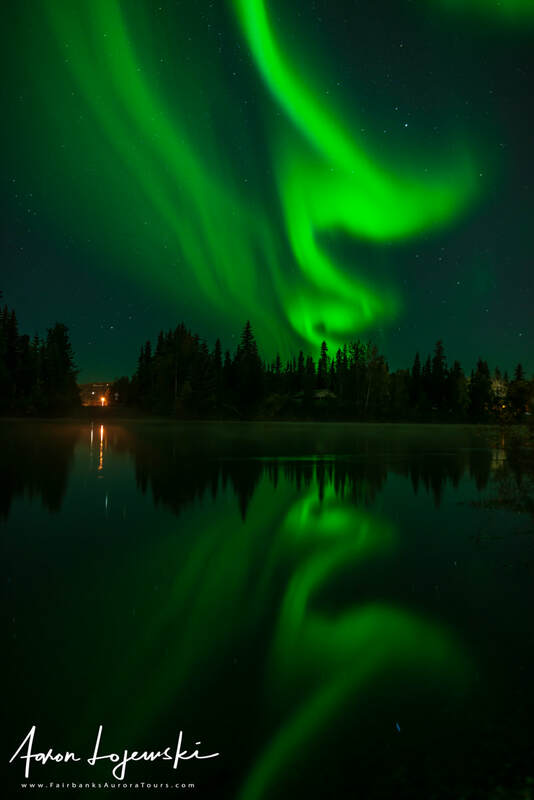 Question: Is seeing the northern lights guaranteed? 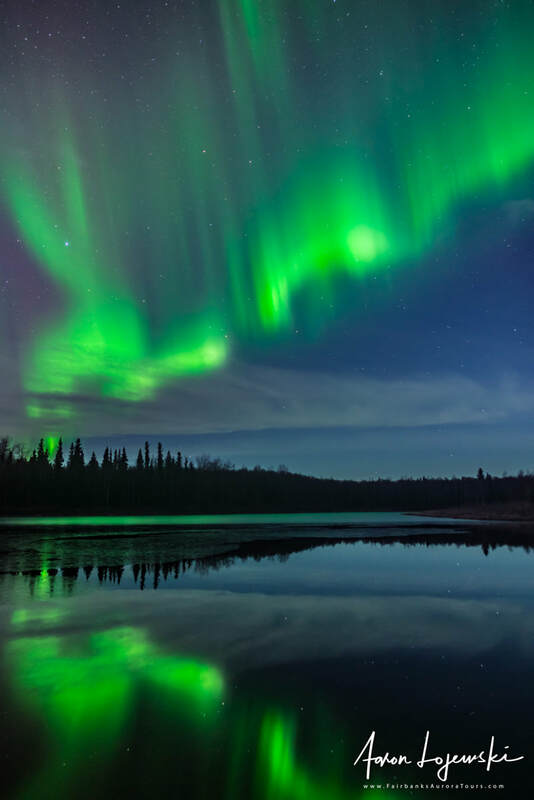 Answer: The local visitors association advertises that if you spend 3 nights out looking for the aurora you have a 90% chance to see the northern lights. 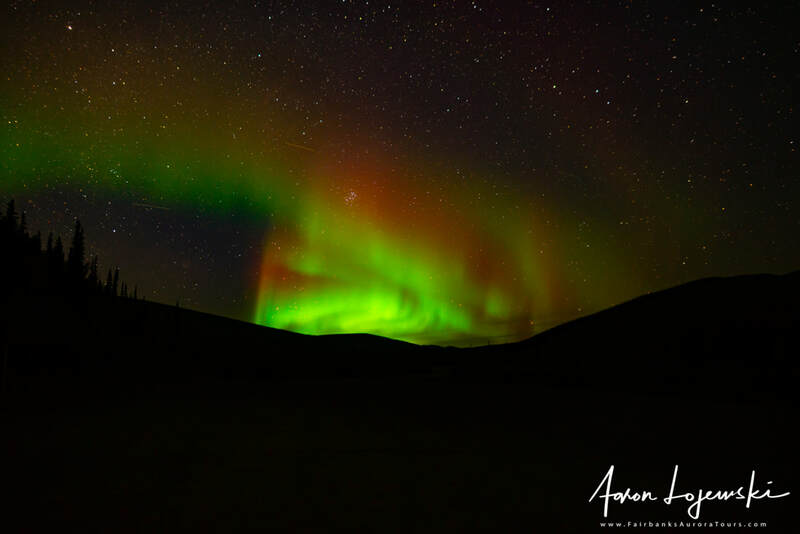 If you back out the numbers to a single night it would come out to roughly 53% chance for one as what they advertise but our internal numbers show us photographing the aurora on roughly 80% of all our tours! This is the evidence that chasing the lights MASSIVELY increases your chances of seeing it and if you miss out you can hop on another tour as our stand by guest at no cost within 30 days of your original tour. If other operators don't advertise their success rate, you can bet it is far lower than ours and closer to the average 53%. 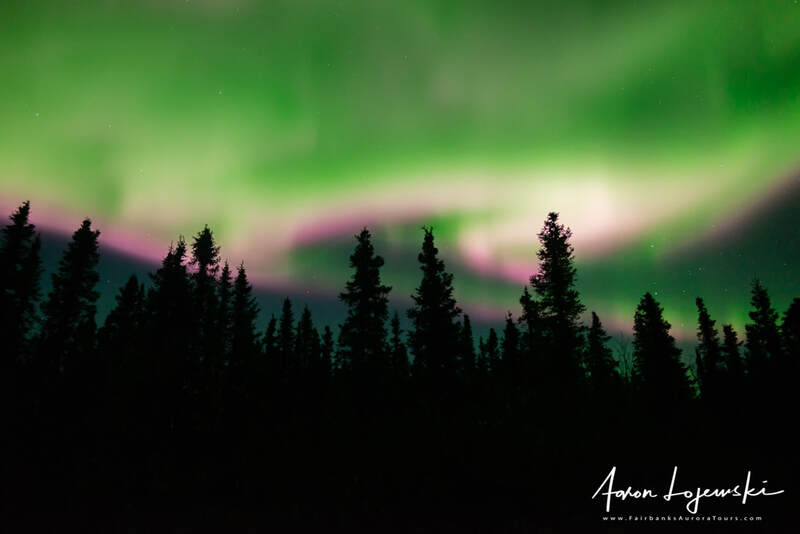 We do not guarantee the aurora because it does not happen 100% of the time but the fact remains that the more time you plan on spending out looking for it the closer your odds get to 100% so we do not suggest planning on just one night. 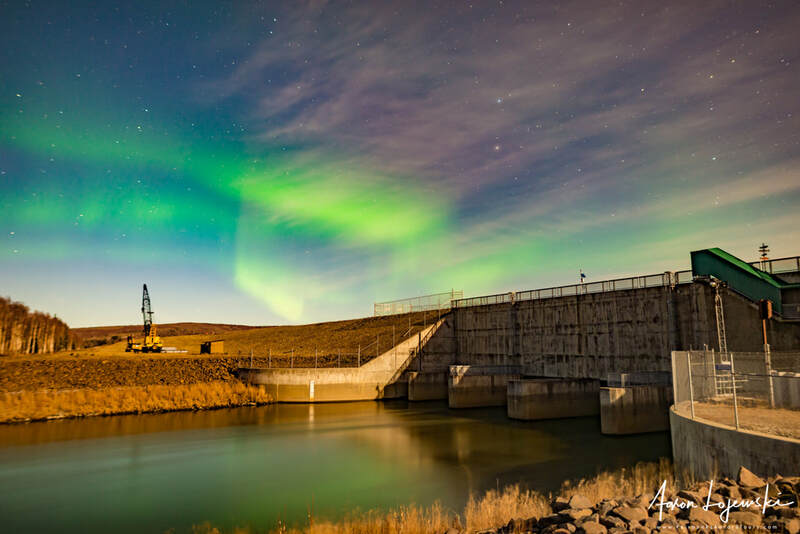 We have many, perhaps dozens of locations we have used for viewing the aurora. 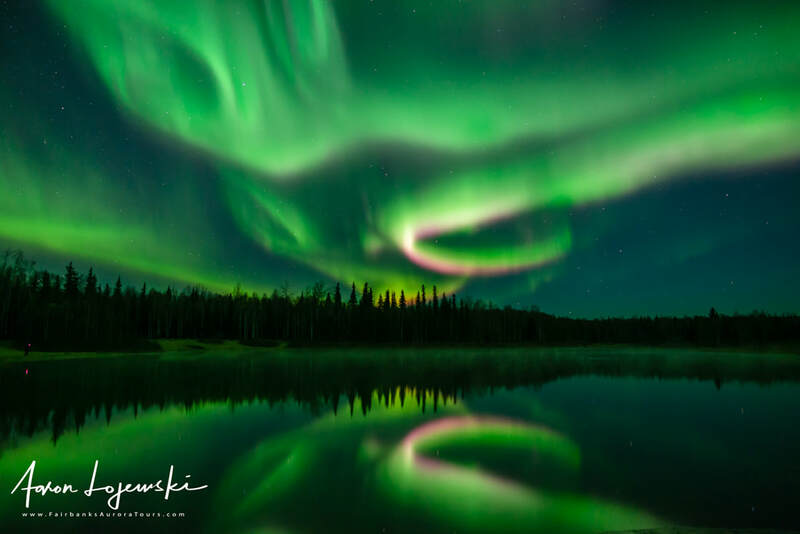 Like a fisherman trying to keep his fishing holes secret we also do not publish where we go specifically, but as a general rule of thumb, we try to stay within 2 hours or about 100 miles of Fairbanks. On rare occasion we will chase farther. Question: Do you offer a discount for (fill in the blank)? 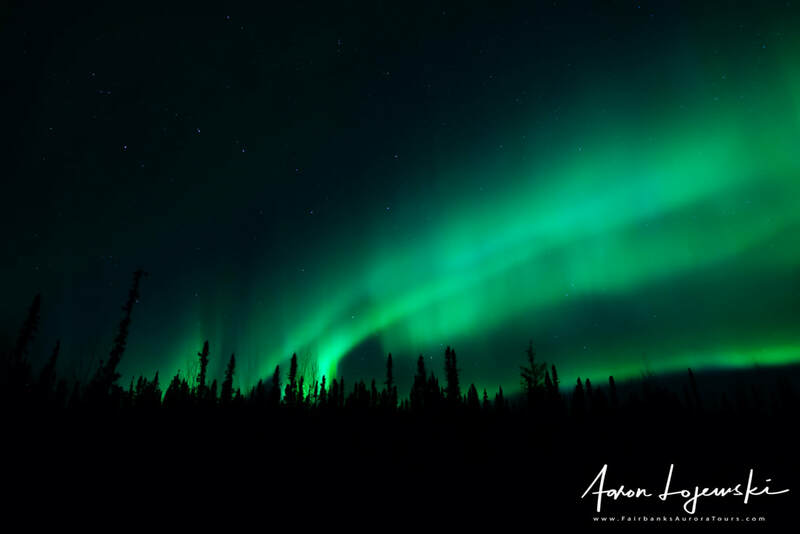 Our aurora chasing tour is specifically designed to be different. 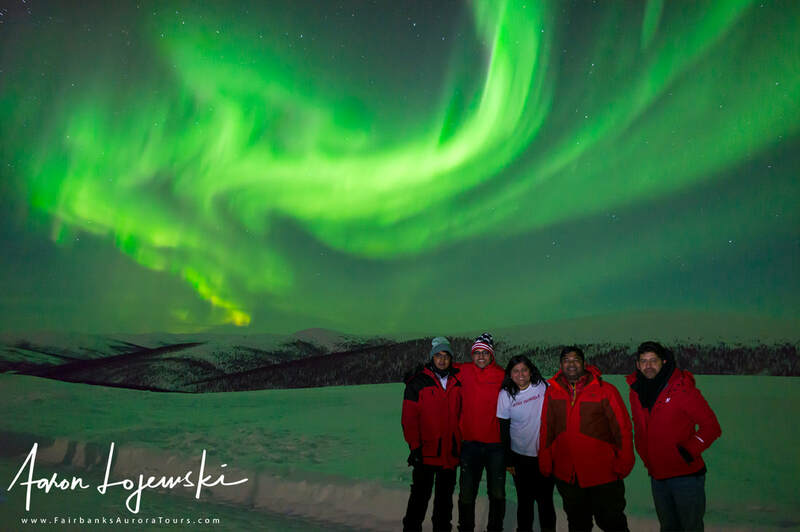 We made the decision at our inception to offer a tour to give you the very best chance possible of enjoying our famous northern lights while also offering a high quality, informative, photo tour with a small group and local guide. In short, our business strategy is to compete on quality, not price. Furthermore, our guest's age, camera or lack of, veteran status, etc. doesn't change the business costs we incur. We could charge everybody else more to lower the price for certain groups of people, and many businesses around the country do that but we choose to offer all people the same price. What makes your tour different?